Welcome to send your Gerber files and Bom list to Sales@raypcb.com ! Our PCB board assembly equipment is handled and maintained by qualified staff that is backed by several years of experience in the PCB assembly industry. With their technical acumen as a backdrop we are able to provide outstanding service using our world-class PCB assembly equipment. When it comes to Printed Circuit Board assembly, we are clearly a leader in the arena. A look at the table given below will reveal our capability. The table highlights the equipment, model and manufacturer to give you a picture of our PCB assembly services. OEM equipment that is a class apart! From PCB Input to SMT Assembly and from Wave Soldering to PCB Card testing, the OEM equipment used is truly world class. 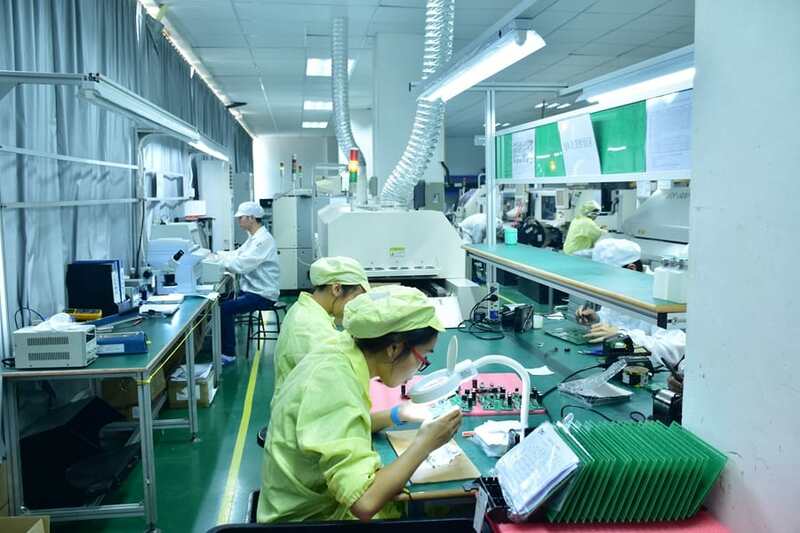 As a leading Printed Circuit Board manufacturer in China, we have what it takes to excel using state-of-the-art OEM equipment. There are several Printed Circuit Board manufacturers that profess to offer quality products. However, many fall short of international standards. At RayMing, we take pride in our OEM equipment, which sets the bar high! From step one till delivery and packaging, we look into every detail so you get a high-performance product. Our OEM equipment gives us the competitive edge to outshine competition. Today, we hold the number one spot. As a quality Printed Circuit board manufacturer in China, we strive to bring perfection a step closer.